Starting today, Square is much more than a disruptive force in the mobile payments space. The company introduced a new Web-based appointment system designed to provide a more efficient online booking/reservation/appointment tool. The introduction of the product, dubbed "Square Appointments", follows Square's introduction of Square Stand (which lets businesses usean iPad as a digital cash register), and Invoices, which allows users to process and creat invoices. 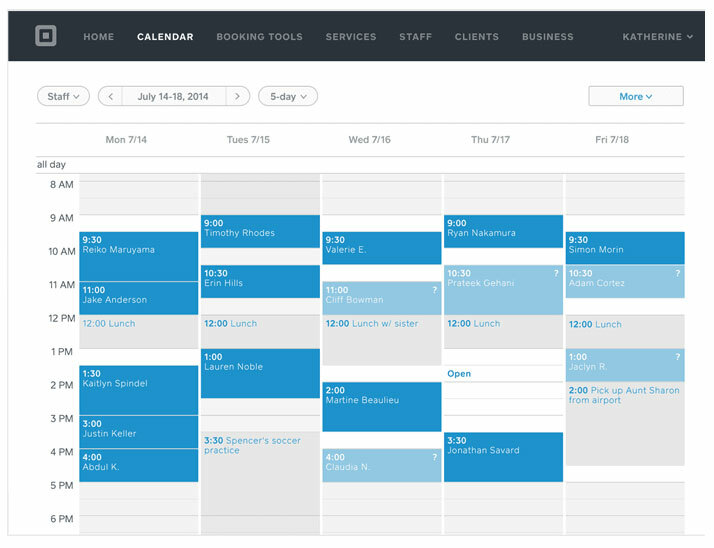 Square Appointments enables customers to book online and provides automatic text and email reminders. Businesses can access the Appointments service for a 30-day free trial, but after that, it's $30 a month for individual sellers and up to $90 a month for businesses with unlimited staff. While Square is entering a rather competitive niche with its latest product (existing vendors include Schedulicity, Appointy, GenBook, BookFresh, and others) its pricing is in line with others currently in the market.